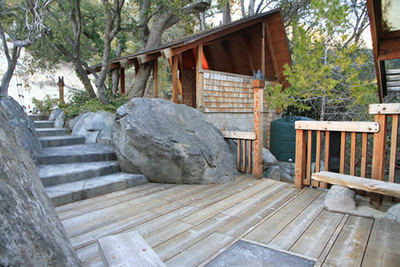 ROCK TO ROCK cabin results will display first in list - if available. 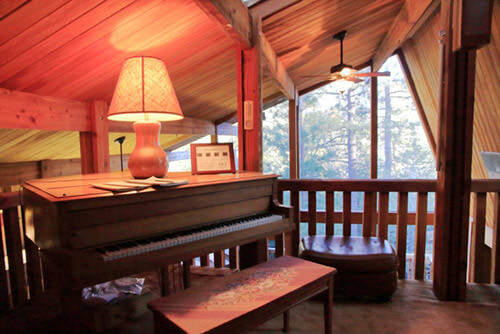 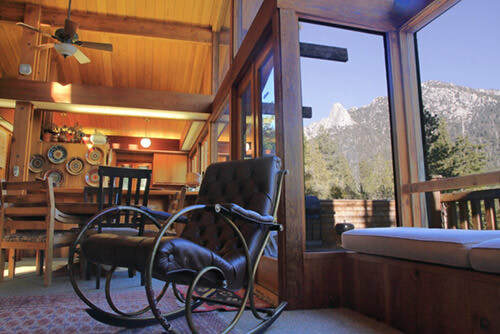 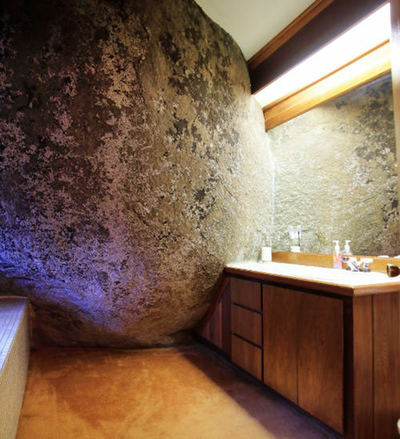 The "Rock to Rock" cabin is for those who truly desire a unique vacation experience in the mountains. 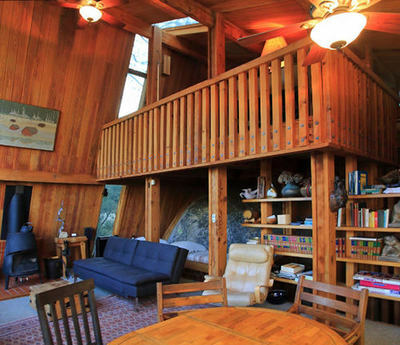 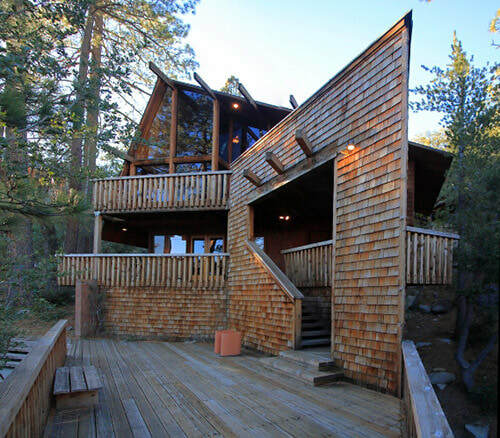 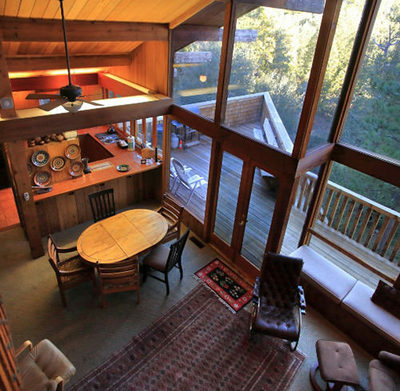 This architecturally designed vacation cabin is truly one of a kind. 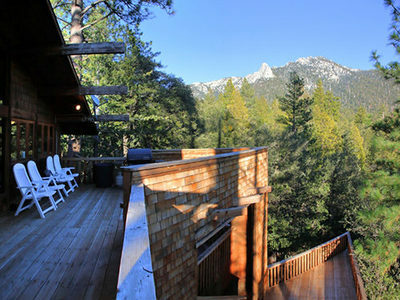 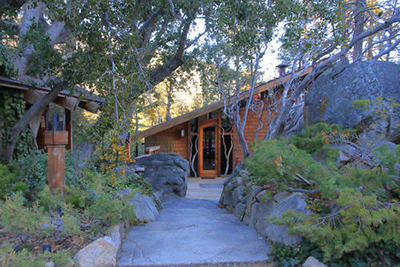 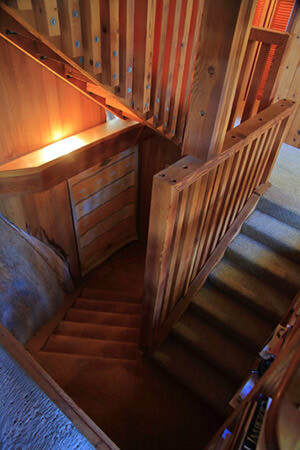 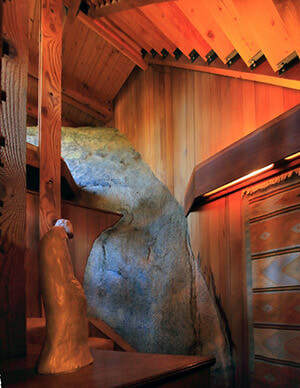 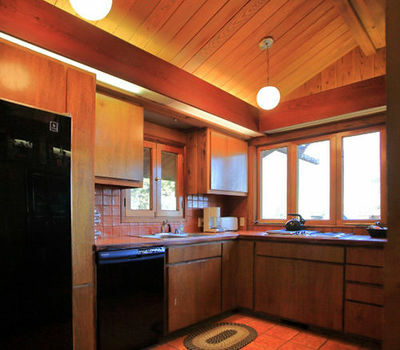 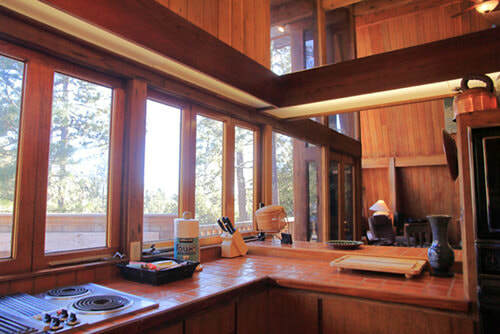 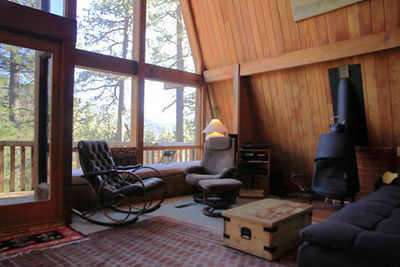 The cabin was literally built into the side of the mountain, preserving the borders that exist in and around the home. This very private location offers spectacular views. This two bedroom cabin with loft sleeps 6. 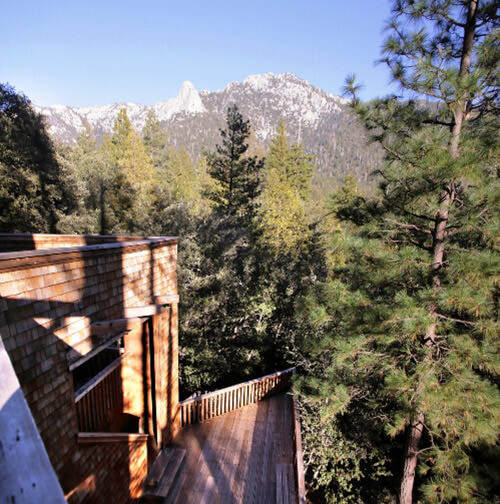 Magnificent views from all three decks make this home a must for anyone wanting a quiet getaway. 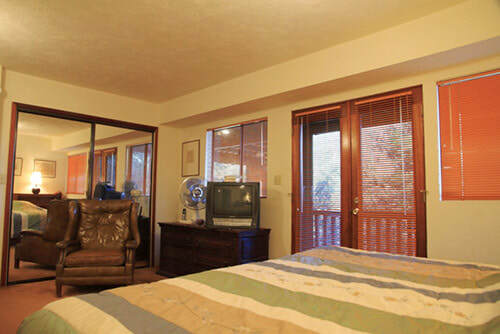 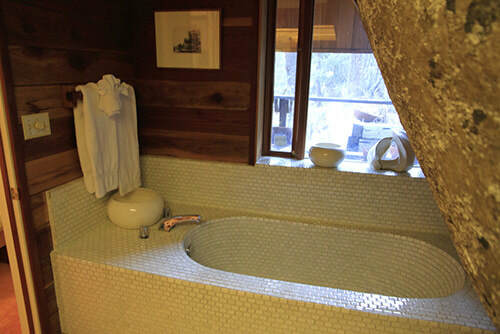 The Master Bedroom offers a king size bed and a large tub in the bathroom. 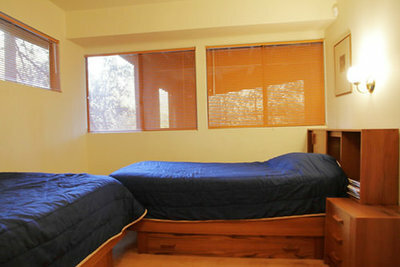 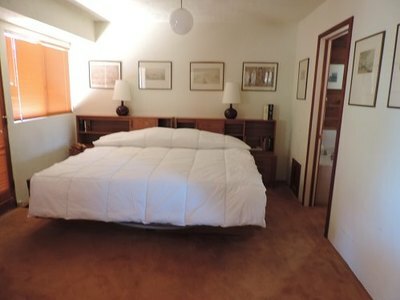 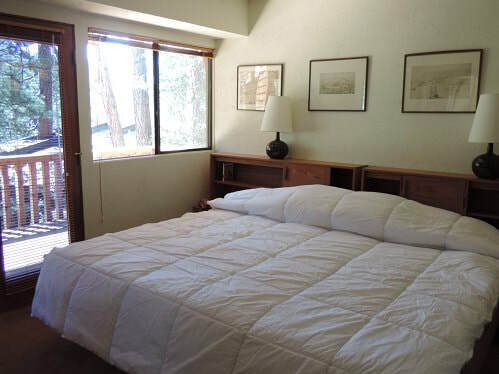 The second bedroom has two twin beds and a private bath. There is also a sofa bed in the upstairs loft. This special cabin really brings you close to nature. 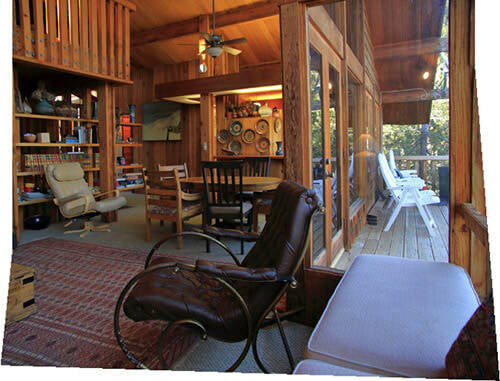 Read, write or paint, or just reconnect with your loved ones. 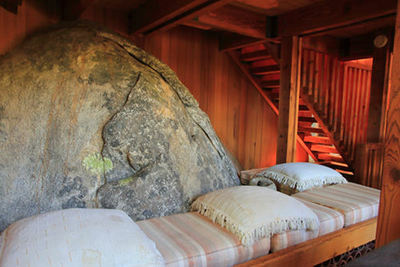 Rock to Rock is walkable to town and is about two blocks from Cafe Aroma. 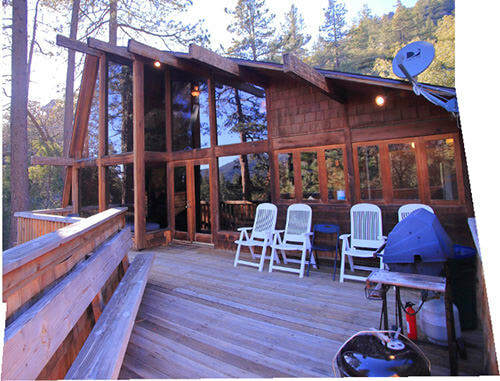 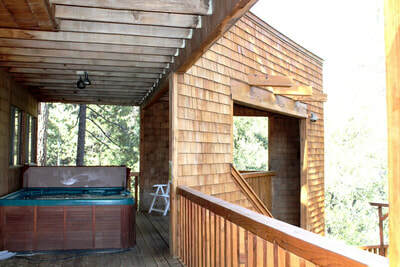 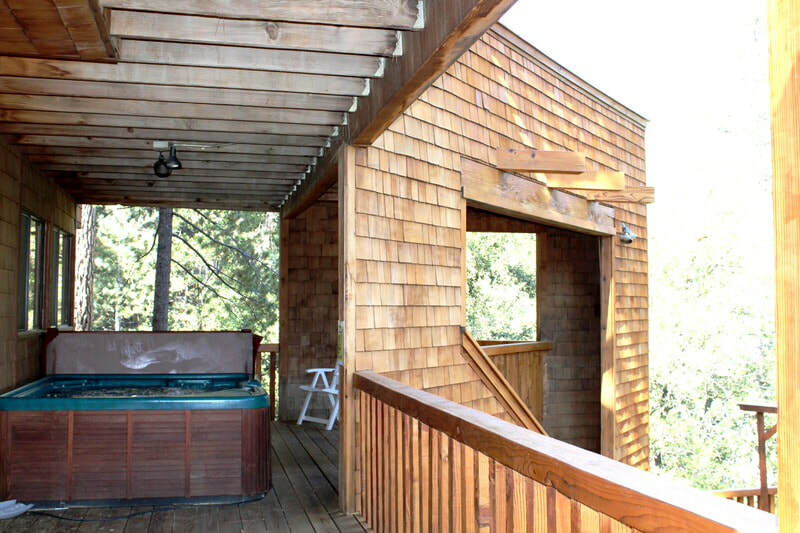 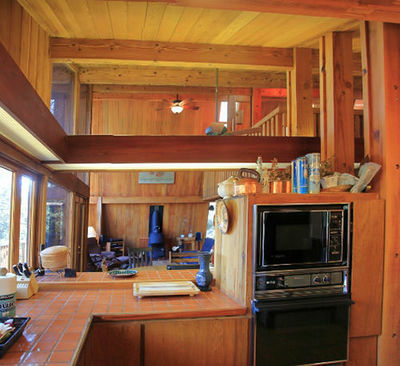 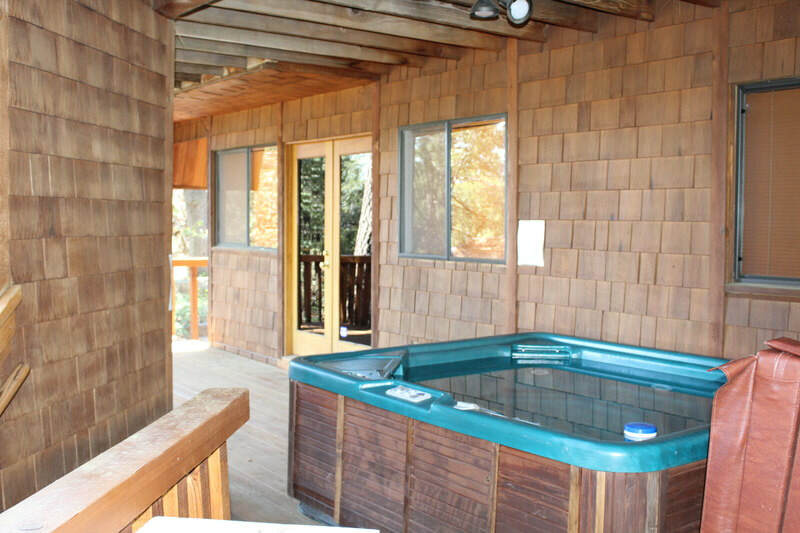 This cabin also has a BBQ on the top deck and internet for your convenience. 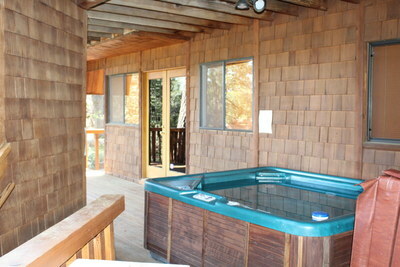 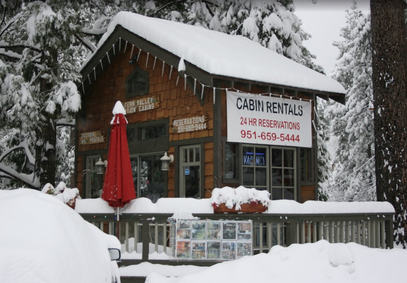 The cabin accepts small pets and has two air conditioning units to cool down cabin in summer months. 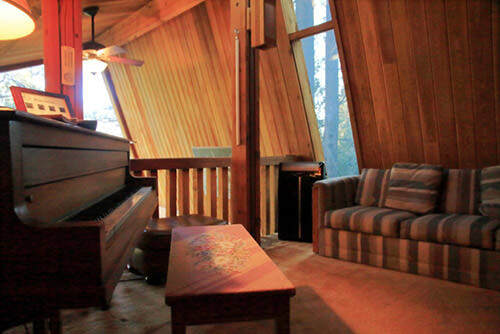 For those who desire a unique experience, this is your cabin.